Heroku is a PaaS that enables developers to operate applications directly in the cloud. The Apps are run in fully managed runtime environments, with the infrastructure — configuration, orchestration, load balancing, security, etc. — handled entirely by the platform. Tidy up your code with the Webpack module bundler! 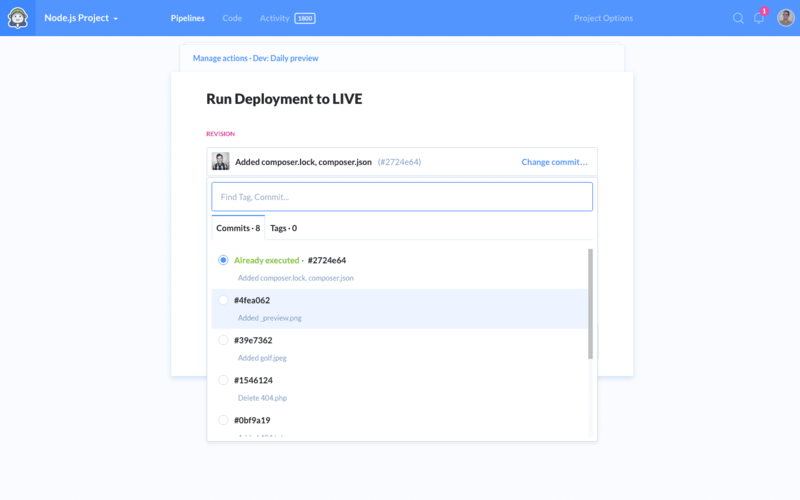 We’re thrilled to announce that atomic deployments are now available in Buddy! 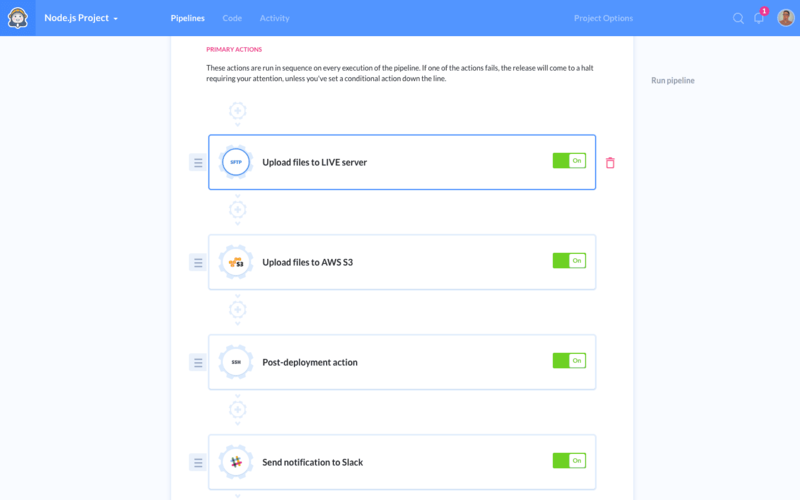 The aim of atomic deployments is to eliminate the maintenance window so that your app is always available to the user. Derived from the database lingo, the concept of atomicity means a deployment that has either been executed completely or not executed at all, leaving no trace to the working code on the server. This means that your live website will only be updated once the deploy has finished successfully. /current - the directory to which your web server points. It containing a symbolic link to the current website version in the /releases directory. /releases - contains the history of uploaded releases. For each version a directory with the name of the release tag is created. This allows for a quick rollback of changes. /deploy-cache - used for storing new files during the deployment. Once the upload has finished, its contents are copied to a new directory in the /releases directory. In short, when the deployment is triggered, Buddy will first deploy the files to the cache directory on the server, copy the files to a newly created release directory, and switch the symlink of the web server to the new version. You can clear release and cache directories on the server at any time. In case you need to roll-back to a previous revision, Buddy will simply upload the files again. 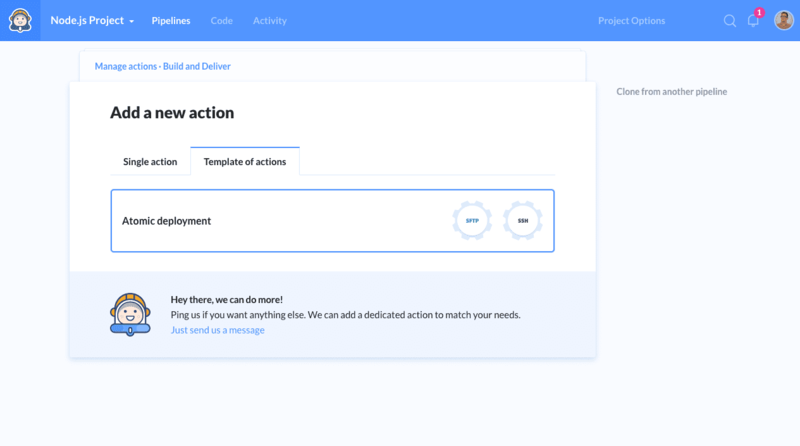 Atomic deployments are the first in the upcoming template series. We’re looking forward what kind of templates you’d like to see next — just leave a comment here or drop a line to support@buddy.works. AWS Elastic Beanstalk allows you to deploy and manage your applications in a quick and easy way. The only thing you need to deal with is deploying the app to the service. Other things, like infrastructure, running and scaling, are handled entirely on its side. Haskell is a purely functional language with no statements or instructions, widely used in academics and industry. Often used as a compiler, its implementations include anti-spam programs, cryptography algorithm verification, military AI, backend infrastructure analysis, and other fields where functional programming is recommended. From now on commits, branches and merge requests in your Buddy workspace are labeled with statuses generated on the basis of the last execution. It’s been a year since we launched Buddy and, oh boy, what a year it was! Below you will find a recap of 2016 that will show you how the service evolved month by month, feature by feature.